Inglewood, California is a busy city in the sunshine state. This city is located in the southern part of the Los Angeles area. Over the past several years this city was built up and invested in. Now it is a great place to live and to work. There are several shopping centers and this city has plenty of opportunities. If you enjoy going out and seeing live events you should check out The Forum. There are live performances from a number of different performers. There is always something going on and there is nothing like seeing a live show. Hollywood Park is another notable place to visit in Inglewood. This casino and horse track offers players the chance to win some money and enjoys a great atmosphere. With the urban improvement that is taking place in Inglewood and the recent real estate development this city is on the rise. There are many clients with roofing needs in this area. If you need your single or multifamily home’s roof replaced or repaired be sure to take the time and research different roofing contractors. If you own the home with others you cannot make the decision alone. It may take several meetings in order for you and your partners to reach a solution. It is important that you hire a roofing contractor that has experience working and speaking to HOA board members, others in the construction field, and developers. 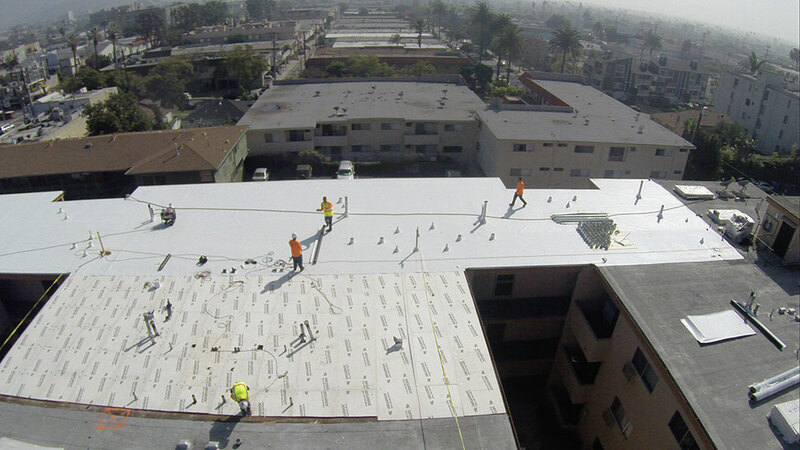 An experienced contractor will be able to work with the challenges that this type of job presents and will work with you and any members of the board of directors to find an appropriate solution for your roof. These contractors will provide a quality roofing job. The contractor that you hire for your project should be fully licensed and insured. If there is an accident on the job your reputation can be in jeopardy. The contractor you work with should be professional in all aspects of the job. The roofing contractor is going to need to handle all aspects behind the scenes. The contractor will need to be professional when speaking to the project manager and the board of directors. The contractor should be able to provide quick solutions to your roofing problems as well. A good roofing contractor will be able to provide additional services other than just roofing installation and roofing repair. The roofing contractor should be able to help you maintain your roof by offering regular maintenance schedules. The contractor should want more than just to get paid for a single job. They should be looking to build lasting relationships with their customers. When working with the same contractor you will get a higher quality job and a better value for the money you are paying. A good roofing contractor will make sure your roof will be professionally installed and will stand up to the test of time.